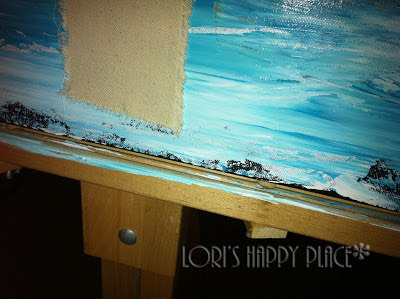 I am using the big girl easel today to start a canvas that I am doing for a Good Friday art show. Beyond giddy!! So much fun!! Using an easel you have to stand to paint with just brings tears to my eyes. Special thanks to Momma Carol. I still absolutely LOVE this beautiful gift. Sorry, you will have to wait till Good Friday to see the final canvas. Teehee! !